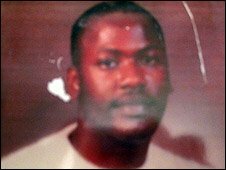 I am re-posting this BBC report on the Curtis Flowers case which originally aired on November 26 2009. No one from outside Winona had paid much attention to the case back then and white residents were actually pleased to have someone to talk to. I got to know Tom Mangold when he reported on Tulia Texas, and he also covered the Jena 6 case. So I reached out and asked Tom to take a look at the Flowers saga. He read over my early blog posts and started setting up interviews, including a very revealing encounter with the unapologetically racist members of the Council of Conservative Citizens. Mangold knew the case from court records and never talked to eye witnesses or closely examined the forensic evidence. As a consequence, he was agnostic on the guilt-innocence issue and just wanted to know what the case said about Mississippi a year after the election of America’s first black president. White Winona residents are now reticent to talk to reporters (to put it mildly); but back in the day they were thrilled to talk to a foreigner about the day their worst nightmare became a reality that refuses to fade. You can read the first half of the 2009 Crossing Continents production here though most of the good stuff is only available here. My original intro is below in italics. Tom Mangold, a correspondent with the the British Broadcasting Corporation, recently traveled to Winona, Mississippi to investigate the case of Curtis Flowers. The story came to his attention through this blog, but I have made little attempt to convince Mr. Mangold to see the story my way. As you would expect from an investigative reporter, he took nothing for granted going in. Here is a transcript of Mangold’s report in its entirety. In Mississippi, a man accused of murder has spent thirteen years in prison on remand. And he’s still inside. ATTORNEY RAY CARTER: Curtis is a black man in America, a black man in Mississippi, a black man in the South. LYDIA CHASSANIOL: There has been an effort by some to say that there was a racial motivation. I would like to remind the people who are interested in this case that there was a black man murdered as well. REPORTER: Curtis Flowers is a black man charged with the murder of four people, three white and one black. Next year, incredibly, he will face his sixth trial. Race has played a significant part in the judicial stand-off that is preventing justice being done. One year into the Obama presidency what does the Flowers case tell us about the dream of a post-racial America? REPORTER: We may have different stories, but we hold common hopes; we may not look the same and we may not have come from the same place, but we all want to move in the same direction—towards a better future for our children and our grandchildren. REPORTER: That speech on race was delivered before Barack Obama was elected. But it brought a surge of hope, especially in the Deep South, that a resolution might now be found for the racial discrimination that has scarred the U.S. since the first days of slavery. In this week’s Crossing Continents, a story from Winona, a small town in Mississippi where America’s launch towards racial reconciliation is fighting the gravity pull of its history. REPORTER: It’s midday on a warm humid Mississippi afternoon and I’m in downtown Winona. There’s nobody here. I seem to be the only person around . . . behind me a train station . . . nothing happening there . . . and in front of me at the end of a street of exhausted and closed stores is a two-story building where four people were shot to death on July 16, 1996. I’m at the Tardy Furniture store. The sign in faded red lettering is still up but the building now seems to be a huge flea market. If I peer through the window I do see one single person. REPORTER: Do you own this store now? REPORTER: Can I ask you for your name? REPORTER: Why have you kept the Tardy Furniture sign? TIM JAMES: Well, actually it’s mixed emotions about taking it down. We have even talked about when we bring it down, we are going to bring it inside the building and just store it because of what it means as a monument here. REPORTER: And tell me what has been the effect on the community over the years of these murders? TIM JAMES: It has just been bad for the community because it is such a small town . . . 5,000 people . . . and no one would expect to wake up one morning and have this happen in their community. It has just been a continuous thing. Although it may have lessened some, with each new trial it revives it again and so it is hard for it to fade away. REPORTER: The prosecution alleges that Curtis Flowers went to rob the store and during the robbery shot dead the owner Bertha Tardy and three of her employees. Roxanne Ballard is Bertha Tardy’s daughter. She was seven months pregnant when her mother was killed. ROXANNE BALLARD: The worst part of that day . . . we had a four-year-old who was very close to his grandmother Bibi. They were together at some point every day and I had to . . . we sat him down and told him that someone had shot his Bibi. I was worried I would lose the baby but I was really worried of the long term impact that would have on a four-year-old because they don’t understand why someone would do something like that, and really I don’t suppose anyone would understand how someone could do something like that. He remembers it as clear as a bell, the day his best friend died and it just rips your heart out. That was probably the worst part of that day. REPORTER: From his nearby prison, Curtis Flowers makes his weekly phone call to his mother. We are sitting in her pin-neat home with glistening artifacts that reflect her deep Christian beliefs. She tells me Curtis too is a devout Christian, yet he remains accused of a massacre for reasons that range from revenge to robbery. Roxanne’s mother, Bertha Tardy, had briefly employed Flowers at the store. She hadn’t thought he was a good worker and had dismissed him. There was a dispute about money owing. Curtis Flowers had motive and has never produced a satisfactory alibi. But much of the prosecution evidence is circumstantial and the forensic science evidence is weak. REPORTER: His mother hands me the phone, and he speaks to me down a bad line from an open area of the prison. I am the only reporter ever to interview him. REPORTER: Is that Mr. Flowers? CURTIS FLOWERS: Hey, how are you doing? REPORTER: Mr. Flowers you’ve spent 13 years in prison. Has this made you an angry man? CURTIS FLOWERS: I wouldn’t say angry. REPORTER: But how do you feel after this enormous amount of time in prison? CURTIS FLOWERS: I feel for the families of the victims. ANNOUNCEMENT: This call may be recorded or monitored. REPORTER: I have to ask you formally Mr Flowers did you commit those four murders? CURTIS FLOWERS: No sir I did not. REPORTER: Did you have anything to do with them? CURTIS FLOWERS: No sir, I did not. REPORTER: Do you believe that if you had been born white you would have had a different kind of justice? REPORTER: Do you believe that one day you will walk out of prison a free and innocent man? CURTIS FLOWERS: Yes sir, I do. REPORTER: And is that a question of faith in the Lord or faith in the Mississippi judicial system? CURTIS FLOWERS: That is faith in the Lord. REPORTER: Do you have faith in the judicial system here? CURTIS FLOWERS: No sir, I do not. REPORTER: Flowers has justification for his lack of faith in Mississippi’s judicial system. The local district attorney has unashamedly played it dirty to secure a conviction. Ironically, the facts, and the absence of an alibi, suggest Flowers does have a strong case to answer. But innocence or guilt apart, the other big question is whether black defendants accused of crimes involving whites still get less than a fair judicial hearing? Look at the scorecard; Flowers has been convicted and sentenced to death three times. Each conviction was overturned on appeal: two because of prosecutorial misconduct; and one because of rigged jury selection by the state. In the other two cases, the jury split broadly on racial lines and failed to agree. REPORTER: Five trials in, did Curtis Flowers do it? ROXANNE BALLARD: There is no doubt in my mind, no doubt at all. REPORTER: Not even a scintilla of doubt? ROXANNE BALLARD: Not a scintilla of doubt, not at all because my momma didn’t have any enemies . . . because he had a reason to be mad at her and because I saw the look in his eyes and I know it. I know it in my gut. It is not . . . between the evidence and the way he has reacted . . . I have no doubt, no doubt. REPORTER: How is this going to end? JUDGE DIAZ: The Flowers case has been so complicated and controversial because they are seeking the death penalty and in those cases we do hold them to a higher standard and more scrutiny as we should. We have to strive for justice and I don’t think justice has been achieved on either side in this case yet. REPORTER: Judge Oliver Diaz, a former Mississippi Supreme Court Justice who helped overturn two of the convictions against Flowers . . . When the District Attorney tried to fiddle the law, Judge Diaz caught him in the act. JUDGE DIAZ: I was present on the original Flowers case in 2000 and we reversed because there were four terrible murders arising out of one incident and Mr. Flowers was on trial for one murder in the original case and the prosecutor introduced evidence of the other murders. We held that to be reversible error because they were attempting to show evidence of other crimes he committed not related to the crime for which he was being tried at the time. JUDGE DIAZ: Quite …That’s a simple way of saying … they may be cheating. They committed error that was reversible, yes. REPORTER: In the third case you came across abuses in jury selection. What did you find? JUDGE DIAZ: What we found when we reviewed the third trial was that the selection of jurors . . . we reversed because the jury selection process ended up not being fair. Every challenge the state had was used against African Americans and the only African American that was seated was when the state ran out of challenges and could not challenge anymore and one was seated. REPORTER: Let me just check the language used by your court . . . you spoke about incongruous decisions indicative of racially discriminatory intent, specious, suspect . . . the case evinces an effort by the state to exclude African Americans from jury service…this was a very bad business. JUDGE DIAZ: Yes absolutely and that is why we reversed it. There is no question that the action of the prosecutors in striking juries in this case tended to indicate it was done in a discriminatory manner, yes. REPORTER: It was racially biased? REPORTER: Here was a man who deliberately set out to get black jurors disbarred? REPORTER: That was a wilfully intentional act? JUDGE DIAZ: Oh it was absolutely and that act will not be allowed to stand in the courtrooms of Mississippi, it was reversed when he did it and it will be reversed again if he tries it again. REPORTER: In Britain, a prosecutor caught red-handed like that would be publicly reprimanded, and removed. And after three appeals and two mistrials the state would probably drop the case. But the truth in Mississippi is the white D.A., Doug Evans, simply cannot afford to lose a conviction on this big nasty crime. Paradoxically, the private word in the lawyers’ chambers suggests the District Attorney is not a racist, but a prosecutor who, because he depends on public election, is now leaning on the law to win his case. Realpolitik? Probably. However one passionate black nationalist still sees the Flowers trial strictly through the prism of race. For him, this case can only mean the certainties of whites deliberately unbalancing the scales of justice—just like the old times. REPORTER: Can I ask you in your opinion what part did race play in that second trial? CHOKWE LUMUMBA: I think race was the dominant factor. The trial itself . . . the evidence clearly was not convincing enough on its own to allow a conviction for guilt and certainly not for a sentence of death. I think race was a predominant factor. REPORTER: You say that sir but you don’t have any evidence for that do you? REPORTER: What did you make of the D.A. Evans? REPORTER: The tendency for jurors to vote along racial lines makes the Flowers case even more contentious. In his five trials, there was a total of fifty white jurors all of whom voted to convict. There were also ten black jurors, of whom only four found Flowers guilty, adding to the widely held belief that black jurors are inhibited from convicting black defendants. On the other hand, in the deep South, black people suspect that white jurors harbor a prejudice against black defendants. REPORTER: But invariably nothing is quite as it seems and there really is more to race in Mississippi today than the familiar litany of the phobias and statistics of inequality. I assumed Roxanne Ballard would mirror Lumumba’s easy certainties. Not at all. Indeed this all-Southern lady in early middle age is not stereotypical. She is adamant that for her, the Flowers case is only about guilt or innocence and not race. ROXANNE BALLARD: I don’t think race should ever have been a part of this. We have a black victim. We have four very diverse families. Whether it was or not, I can’t say for certain. REPORTER: Would it be accurate to call you race neutral? ROXANNE BALLARD: Yes I think so. I was just raised that way. From when I was a little girl all I ever heard was that God made us all the same and that we were all created equal. Of course that was my mother telling me that and she sent me to public schools and so I never experienced anything even during integration that was negative, it just kind of seemed to go very smoothly. I never had those kind of experiences that I hear about. REPORTER: In Jackson, Mississippi’s capital, inside the magnificent Beaux-Arts replica of Washington’s Capitol Building, I met Winona’s State senator Republican Lydia Chassaniol. REPORTER: She’s chair of the Senate’s tourism committee and keen to talk about what Mississippi has to offer its visitors. LYDIA CHASSANIOL: One of the tourism projects that I’m most interested in, if you have time you might go to is Natchez, forks of the road, the place where the slave market was, there is hope to build interpretive centre. If I were a person of African extraction I would be interested in going to see what it was like and seeing how my ancestors came. You know we will never escape the past, I suggest that we embrace it and move forward. REPORTER: This intriguing plan to earn tourist dollars comes from a Senator who has a mixed reputation with black Mississippians partly because, somewhat controversially, she has been trying to organize a bill to increase the size of the pool from which jurors are selected. REPORTER: Your critics would argue that to expand jury pool is a backdoor way of getting an all-white jury, which would convict. LYDIA CHASSANIOL: If we expand the jury pool to include the entire district . . . the circuit court demographics will be the same. People may suppose what they will. I only know in my heart what I am trying to do and I want to see justice achieved and that is why I have proposed this legislation. I think what we need is closure. If the accused is proven innocent then fine, he should go. But he has been convicted several times but because of technicalities it has been overturned. REPORTER: Racially inspired jury selection—a technicality? Hmm. Senator Chassaniol is also a member of an ultra right wing group with deeply embedded views on race—the Mississippi Council of Conservative Citizens, an organization officially shunned by mainstream politicians throughout the South. The Senator addressed one of their annual conferences, explaining she’ll talk to almost anyone who wants her to talk. Her opponents see this as either tactlessness, or a form of naïve, unconscious racism. Senator Chassaniol however is consistently cheerful in admitting her membership of the group. LYDIA CHASSANIOL: I will have to answer yes, I belong to the local group because they serve as a booster club for one of the local schools. They raise money for the school—that’s about all they do. What I would like to point out to your listeners this is not the same Mississippi as it was 40 or 50 years ago . . . people change, attitudes change. Even people who in their youth would never have thought about sitting down at a lunch counter or belonging to a civic club where there were black people involved, it’s done routinely now and the people of Mississippi are now getting along very well. REPORTER: A run up north on Interstate 55 takes me to Grenada to meet members of the Council of Conservative Citizens. Their membership is secret, their influence patchy at best—they represent the rump of the good ole boys from the rural South, all white to the last man. They have all the predictable hate objects, but they do love Caucasian Christians—and our British National Party. We meet half a dozen of them in a modest motel off the Interstate, where they have reserved a back room for the encounter, and decorated it with a huge Confederate flag. I spoke to Brian Pace, the 25-year-old Field Organizer and Bill Lord, a former undertaker and founding member of the Council. REPORTER: Do you believe that the white race is threatened in the U.S. by non-white immigration? BILL LORD: Well it has already been said that in the next 15 years we will be a minority in this country. Each race has its own culture. It is alright for them to practice theirs but they should not take ours away from us. It is a threat and we are probably the most discriminated race in the country. REPORTER: Is the council then a racist body? BILL LORD: What you term racist . . . if you mean by racist being proud of your heritage and proud of where you’re from, then I plead guilty . . . if it means that you are against someone because of their race, creed, or color, no sir we are not racist. BRIAN PACE: We believe that everyone one way and another believes in ethnic purity . . . the blacks, the Mexicans, the Muslims, the Jews . . . everyone believes they should stick to their own. REPORTER: The words “ethnic purity” do have an unpleasant connotation. BILL LORD: Ethnic purity, cultural purity . . . we are Southerners . . . we consider ourselves to be our own distinct people . . . we believe that everybody has the right to preserve their way and have self determination in their own way. REPORTER: Mississippi is now planning to mandate the teaching of civil rights in its state schools—a small step, one might imagine to helping today’s youngsters understand and come to terms with their parents’ and grandparents’ behavior. Predictably the Council doesn’t see it that way. BRIAN PACE: I think it is another step to communism . . . forcing kids to do what they don’t want to do. Whatever happened to freedom of association? Whatever happened to freedom to think? It seems that free speech is being squandered. This mandating all it is gonna do is have a bunch of white and black and Mexican kids sitting around a table and apologizing to the blacks. And that’s just driving another wedge. It is not 1960 anymore it is time to move on. REPORTER: I haven’t heard the word “reconciliation.” Is there reconciliation with the blacks? BILL LORD: Well I wonder what you mean by reconciliation? We reach out to anybody who wants to join with us but we are not going to go out and try and integrate with them and go along with liberal policies. REPORTER: Should Mississippi apologize for the treatment of blacks historically? BRIAN PACE: What are we going to do? Start apologizing to clowns for being looked down upon for 100 years? We can’t continually be apologizing. We got to go forward, we can’t get stuck on those issues. REPORTER: Those remarks neatly encompass the problem in Mississippi today. How can there ever be a real move towards the post-racial society if so many protagonists retain their traditional attitudes like historical Linus blankets; fighting the civil war again; or endlessly posing as victims of some huge social conspiracy? The lynchings and cross burnings are long since over, but parts of Mississippi continue to smoulder, like an old dowsed bonfire that won’t quite extinguish. If there is ever to be reconciliation say the reformers, isn’t it about time that someone might usefully find the courage to break the long silence and address the unspeakable? REPORTER: I’m in Duck Hill, a small rural town a few miles from Winona. The town’s museum is in a white clapper board former Methodist church. I’ve come here because I want to know more about something bad that happened in Duck Hill on April 16, 1937. Two black men accused of murder were seized in Winona and taken here by a lynch mob. They were stripped to the waist and chained to trees. Someone produced a gasoline blowtorch and applied the flames to the black men’s chests. One died from the torture, the other was shot to death. Then the mob burned their bodies. The museum has no reference to the lynchings. Indeed it has no reference to Duck Hill’s blacks at all. This town it seems is still not ready to confront the darker side of its history. REPORTER: But . . . and it’s a delicate but . . . have African Americans done enough to consolidate the gains of the civil rights movement? Have they fully absorbed the Obama message . . . do they share in his audacity of hope? Democrat David Jordan, a black state Senator from nearby Greenwood. REPORTER: Are you saying blacks have not done enough to help themselves in Mississippi? DAVID JORDAN: We could do more. A thousand miles starts with one step. I am the son of a sharecropper. I lived four miles out of town. I walked to the public school here in Greenwood. There were no buses for African Americans. How did I finish high school? How did I finish college? It is persistence. It is a struggle and that is what we have to do, we have to straighten our backs. We are moving in the right direction but we got one more river to cross, we are not where we ought to be. REPORTER: Meanwhile, the case of Curtis Flowers sums up the true dilemma of a society that wants to ease itself out of the past, but is somehow clawed back from closure. The judicial stand-off mimics the continuing broader racial roadblock. Yet no one can dispute that the long-suffering relatives of the murdered finally deserve their moment of peace. REPORTER: What would be the effect on you and your family if for one reason or another Curtis Flowers was either to be found innocent or the state dropped prosecution and he returned here to Winona? DAVID JORDAN: I don’t know. I have thought about it a whole lot. Don’t know I could walk the streets and see him in stores knowing that I will always know he did it. I don’t know what we would do. .
REPORTER: Would he be safe here? DAVID JORDAN: I have no idea. I mean I am certainly not going to do anything to him but I don’t know…I can’t answer that. I would assume but I don’t know. REPORTER: Curtis Flowers’s sixth trial is scheduled for June 2010. The prosecutor is again seeking the death penalty. REPORTER: One year of America’s first black president cannot possibly remove the historical baggage of a couple of centuries. But here in Mississippi, there are gleams of hope and occasional bursts of cautious optimism. Charles Tucker, a black Mississippian, works for a race reconciliation institute. CHARLES TUCKER: Consider something, in the state of Mississippi one of the most violent and hateful if you were black, never mind if you poor and white in which case treated just as bad to be honest with you, it was a very bad place. Many people looked at what they did in their state and said oh well we are not as bad as Mississippi. Change here will remove that excuse. CHARLES TUCKER: The way Mississippi goes, it can light the path for others to follow. People rise as high as the examples they see. Now we have examples. We have a president of the U.S. People now have hope. Suddenly you have young boys looking and going “I can do that, I can be that” that’s hope. REPORTER: . . . Significant change in your lifetime? CHARLES TUCKER: Outstanding change, more then I dare to hope for. REPORTER: That’s the good news–what’s the bad news? « Curtis Flowers: the whole world is watching!